David Robertson is a compelling and passionate communicator whose stimulating ideas and music-making have captivated audiences and musicians alike. A consummate musician and masterful programmer, he has forged strong relationships with major orchestras throughout Europe and North America. He made his Australian debut with the SSO in 2003 and soon became a regular visitor to Sydney, with highlights including the Australian premiere of John Adams’ Doctor Atomic Symphony and concert performances of The Flying Dutchman. In 2014, his inaugural season as Chief Conductor and Artistic Director, he led the SSO on a seven-city tour of China. More recent highlights have included presentations of Elektra, Tristan und Isolde, Beethoven’s Missa Solemnis, and Porgy and Bess; the Australian premiere of Adams’ Scheherazade. 2 violin concerto, Messiaen’s From the Canyons to the Stars and Stravinsky ballet scores (also recorded for CD release); as well as the launch of the SSO at Carriageworks series. Last year he began his 12th season as Music Director of the St Louis Symphony. Other titled posts have included Principal Guest Conductor of the BBC Symphony Orchestra, Music Director of the Orchestre National de Lyon and resident conductor of the Jerusalem Symphony Orchestra. An expert in 20th- and 21st-century music, he has been Music Director of the Ensemble Intercontemporain in Paris (where composer and conductor Pierre Boulez was an early supporter). He is also a champion of young musicians, devoting time to working with students and young artists. 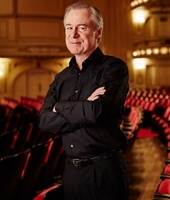 David Robertson is a frequent guest with major orchestras and opera houses worldwide, conducting the New York Philharmonic, Los Angeles Philharmonic, Boston Symphony Orchestra, Chicago Symphony Orchestra, the Philadelphia and Cleveland orchestras, Berlin Philharmonic, Staatskapelle Dresden, BBC Symphony Orchestra and Hong Kong Philharmonic Orchestra, as well as conducting at La Scala, Opera de Lyon, San Francisco Opera and the Bavarian and Hamburg state operas. In 2014 he conducted the controversial but highly acclaimed Metropolitan Opera premiere of John Adams’ Death of Klinghoffer. His awards and accolades include Musical America Conductor of the Year (2000), Columbia University’s 2006 Ditson Conductor’s Award, and the 2005–06 ASCAP Morton Gould Award for Innovative Programming. In 2010 he was elected a Fellow of the American Academy of Arts and Sciences, and in 2011 a Chevalier de l’Ordre des Arts et des Lettres. David Robertson was born in Santa Monica, California, and educated at the Royal Academy of Music in London, where he studied French horn and composition before turning to conducting. He is married to pianist Orli Shaham. Francesco (Frank) Celata graduated from the Victorian College of the Arts in 1987, having studied with Phillip Miechel and Pamela Bloom. He then studied in Amsterdam with Piet Honingh (Concertgebouw Orchestra) and Siena with Giuseppe Garbarino. In 1991 he returned to Australia, where he was appointed Principal Clarinet with the then Queensland Philharmonic Orchestra. 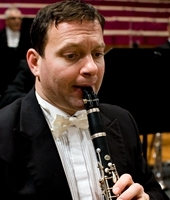 He joined the Sydney Symphony Orchestra in 1993 as Associate Principal Clarinet and has appeared as soloist on several occasions, including performances of Mozart's Clarinet Concerto, Bernstein's Prelude, Fugue and Riffs, Krommer's Double Clarinet Concerto with Principal Clarinet Lawrence Dobell, and a concerto written for him by Gordon Kerry. He has also appeared as soloist with the Tasmanian Symphony Orchestra and the Auckland Philharmonia, and on a number of occasions between 2003 and 2009 he appeared with the London Symphony Orchestra as guest Principal Clarinet, performing on international tours and recordings. In 2011 he played Principal Clarinet in the inaugural performances of the Australian World Orchestra, comprising 110 of Australia's leading musicians drawn from 47 orchestras around the world. Frank Celata is a founding member of one of Sydney's leading chamber ensembles, the Sydney Soloists, and is a member of the New Sydney Wind Quintet. He is also a dedicated teacher, and since 1994 has taught clarinet at the Sydney Conservatorium, where he is a Lecturer in Clarinet. He has given masterclasses at the Shanghai Conservatorium and Trinity College in London, and is the Artistic Director of the Australian International Symphony Orchestra Institute (AISOI). In 2013 he joined the staff of the Conservatorium of Music in Hobart as Lecturer in Orchestral and Chamber Music. 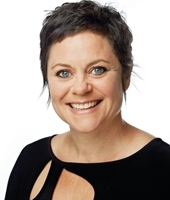 Diana Doherty joined the Sydney Symphony Orchestra as Principal Oboe in 1997, having held the same position with the Symphony Orchestra of Lucerne (1990–1997). She was born in Brisbane and completed her undergraduate studies at the Victorian College of the Arts. In 1985 she won the Other Instruments section of the ABC Instrumental and Vocal Competition, and was named Most Outstanding Competitor Overall. In 1989 she completed her post-graduate diploma in Zurich, studying with Thomas Indermühle. Career highlights since then include first prize at the Prague Spring international competition in 1991; being named joint winner of the 1995 Young Concert Artist auditions in New York and subsequent American recital tours; the premiere of Ross Edward's Oboe Concerto (Bird Spirit Dreaming) with the Sydney Symphony Orchestra and Lorin Maazel followed by performances with the New York, Royal Liverpool and Hong Kong philharmonic orchestras; and performing concertos written for her by composers such as Graeme Koehne and Allan Zavod. She has also performed as a soloist with the major symphony orchestras in Australia and New Zealand, the Australian Chamber Orchestra, Musica Viva, Ensemble Kanazawa Japan, New York Chamber Symphony and Symphony Orchestra of Lucerne. Her recordings include an album of oboe concertos with the Lucerne Symphony Orchestra, Romantic concertos, Blues for DD, a Bach Album, Souvenirs, concertos by Ross Edwards and Carl Vine, and Inflight Entertainment by Graeme Koehne. 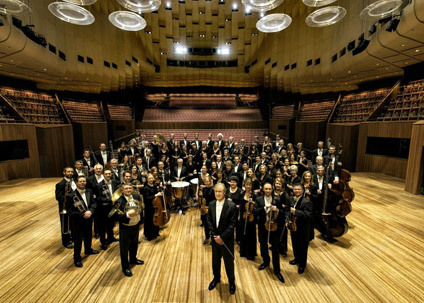 Founded in 1932 by the Australian Broadcasting Commission, the Sydney Symphony Orchestra has evolved into one of the world’s finest orchestras. 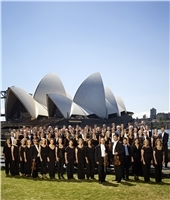 Resident at the iconic Sydney Opera House, the SSO also performs in venues throughout Sydney and regional New South Wales, and international tours to Europe, Asia and the USA have earned the orchestra worldwide recognition for artistic excellence. Well on its way to becoming the premier orchestra of the Asia Pacific region, the SSO has toured China on four occasions, and in 2014 won the arts category in the Australian Government’s inaugural Australia-China Achievement Awards, recognising ground-breaking work in nurturing the cultural and artistic relationship between the two nations. The orchestra’s first chief conductor was Sir Eugene Goossens, appointed in 1947. He was followed by Nicolai Malko, Dean Dixon, Moshe Atzmon, Willem van Otterloo, Louis Fremaux, Sir Charles Mackerras, Zdenek Macal, Stuart Challender, Edo de Waart and Gianluigi Gelmetti. Vladimir Ashkenazy was Principal Conductor from 2009 to 2013. The orchestra’s history also boasts collaborations with legendary figures such as George Szell, Sir Thomas Beecham, Otto Klemperer and Igor Stravinsky. The SSO’s award-winning Learning and Engagement programme is central to its commitment to the future of live symphonic music, developing audiences and engaging the participation of young people. The orchestra promotes the work of Australian composers through performances, recordings and commissions. Recent premieres have included major works by Ross Edwards, Lee Bracegirdle, Gordon Kerry, Mary Finsterer, Nigel Westlake, Paul Stanhope and Georges Lentz, and recordings of music by Brett Dean have been released on both the BIS and SSO Live labels. Other releases on the SSO Live label, established in 2006, include performances conducted by Alexander Lazarev, Sir Charles Mackerras and David Robertson, as well as the complete Mahler symphonies conducted by Vladimir Ashkenazy. This is David Robertson’s fourth year as Chief Conductor and Artistic Director.